I run the Sheldon Williams Craft Club. All students are welcome to join. Bring your own craft, or come by to learn something new! We will be having some guests in this year to teach us new projects, so you may want to check out the blog to see what's coming up next! Craft Club runs on Mondays and Fridays at lunch in the Art Room. 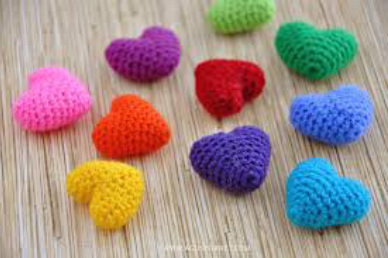 Check out the Craft Club Blog to stay up to date on the club's activities. I also run the SWC Coding & Robotics Club - anyone is welcome to drop by and learn the basics (or more than the basics) of coding. You can also learn how to build and program your own SumoBot! Coding is using computer code (language the computer understands) to program a computer or other device. It's a really neat thing to learn, and you can use it to play and make games, and there are lots of cool career opportunities in Computer Science that might interest you! Coding & Robotics Club happens every Wednesday in the computer lab from 3:30-4:30.Check out the Coding Club Blog to stay up to date on the club's activities. I am the assistant coach of the Sheldon Curling team (Mr. Levers is the head coach). Curling is a winter sport, so we will be looking for team members in September and October. If you are interested in playing (even if you are new to the sport), come see myself or Mr. Levers. Check out the Curling Team Blog to stay up to date on events, practices and games, and other important information.